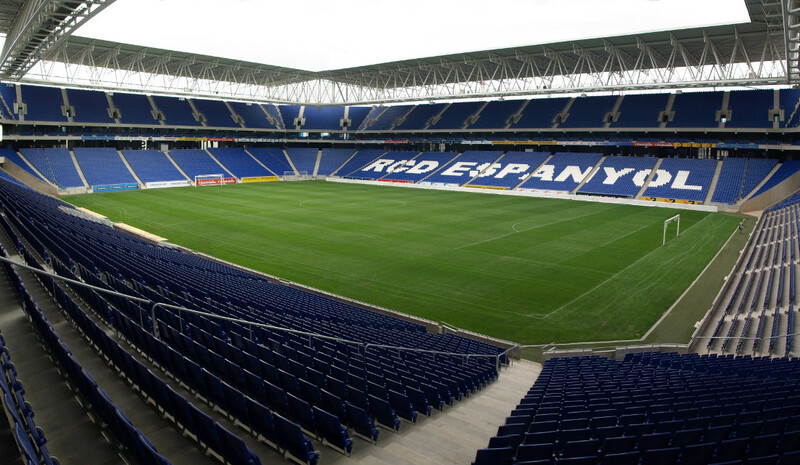 RCDE Stadium, previously known as Estadi Cornellà-El Prat and Power8 Stadium, replaced Espanyol’s old Estadi de Sarrià, which the club left in 1997. Espanyol first moved to Barcelona’s Olympic Stadium, Estadio Olímpico Lluís Companys, but always preferred a proper own home. Espanyol presented concrete plans for the new stadium in 2002, a first stone was laid in 2003, and construction began late 2005. Construction is estimated to have cost about €75 million. Estadi Cornellà-El Prat officially opened on 2 August 2009 with a friendly match between Espanyol and Liverpool (3-0). It got renamed to Power8 Stadium in 2014 following a sponsorship deal, which ended in 2016, after which it got renamed RCDE Stadium. RCDE Stadium is located on the south-western edge of the city of Barcelona in the suburb of Cornellà de Llobregat, almost 10 kilometres from Barcelona’s city centre. Metro station Cornellà Centre lies a 15-minute walk away from the stadium. It is the last stop on line 5 which passes just north of Barcelona’s historic centre, and also stops near the Sagrada Familia. Tram 1 and 2 stop at a similar distance from the stadium. They may be useful if coming from the area around Camp Nou (Avenida Diagonal). Get off at stop Cornellà Centre or Les Aïgues. The Ferrocarrils de la Generalitat, a type of commuter trains, can bring you somewhat closer to the stadium. Station Cornellá Riera is just a 5-minute walk away from the stadium. Multiple trains, for example the L8, leave from Plaza España, about 2 kilometres west from the historic centre. RCDE Stadium lies near a crossroads of motorways. If coming from the A-2/B-10 east, exit at L’Hospitatelet/Cornella, which will bring you almost straight to the stadium. If coming from the Ronda da Dalt, first get on the E-90/A-2, and then take the exit for L’Hospitatelet/Cornella. If coming from the A-2 west, take exit 607 toward Cornellà de Llobregat. At the first roundabout turn right into the Avinguda Baix Llobregat. RCDE Stadium is situated on the edge of Barcelona in a quiet suburb, and there are therefore few eating and drinking options around. While you will likely find a place to eat in the centre of Cornellà, a 10-minute walk north of the stadium, it may make more sense to stick to the city centre. The same is true if it comes to hotels. If you spend at least a day in Barcelona, it will be more convenient to stay closer to Barcelona’s centre. However, if you are there just for the match or arrive by car, then there are a few hotels close to RCDE Stadium. Hotel Campanile Barcelona Sud is a 5 to 10-minute walk from the stadium, gets good review, and is reasonably priced. Novotel Cornellà is somewhat further away, but still at walking distance. Click here for an overview of hotels near RCDE Stadium. If you choose to stay closer to Barcelona’s city centre, the area around Plaça d’Espanya may be a good option. There are many hotels there, and it is where you can catch a quick train to the stadium. Otherwise, there are many options in Barcelona’s historic centre as well. Tickets for RCD Espanyol games can be bought online, by phone +34 932 927 700, or at the ticket windows at the stadium on the day of the match. Espanyol sell out very few matches, and even the home fixtures against Barcelona and Madrid are no guaranteed sell-out. Ticket prices depend on the opponent. For a typical match expect to pay from €25.00 to €30.00 for a seat in one of the corners to €60.00 to €75.00 for a lower-tier seat at the main stand. Prices will be further increased for a number of high-profile matches. You can find a seating plan here. For more information email tickets@rcdespanyol.com. 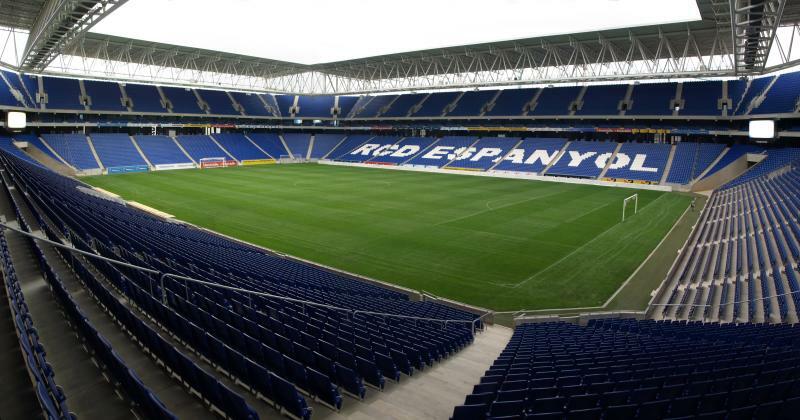 RCDEspanyol.com – Official website of RCD Espanyol. Barcelonaturisme.com – Official tourism promotion website for the city of Barcelona. TMB.cat – Barcelona public transport information and journey planner. Tram.cat – Information on the Barcelona tram system.